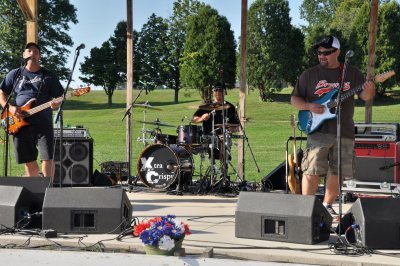 The Kent Stage and its principle owner, Tom Simpson, in cooperation with Sunbeau Valley Farm has organized what may become an annual event in Ravenna. 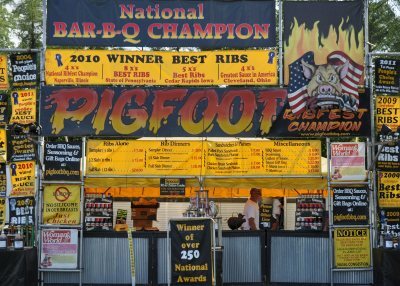 The "Rockin' Rib Fest", which benefits The Kent Stage, got underway Friday and runs through Sunday August 19th. 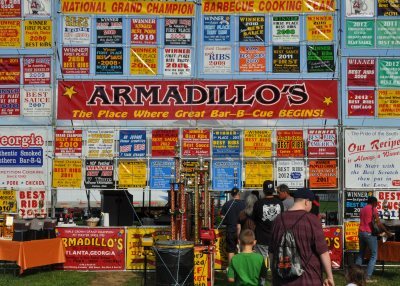 It features four national award winning BBQ champions; Armadillo's, Mojo's Rib Shack, Pigfoot and Old Carolina. 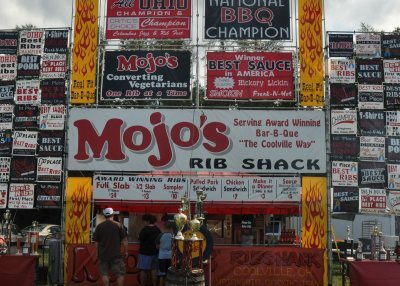 The best part of the rib fest is the opportunity to taste a variety of outstanding ribs and sauces from these highly regarded teams. The second best part is listening to live music by The Soul Men, The Bluestones, Dark Side of the Moon, Jersey, Xtra Crispy, Couch Burner All-Stars and XELA . The third best part is that your parking, admission, the BBQ smoke smell and live music is FREE. You only pay for the food and beverage that you consume. I visited the fest early Friday evening. The attendance on the perfect NE Ohio evening was light but a very steady stream of people trickled in. While there, I had the opportunity meet and talk to Tom and WNIR's Couch Burner, who was also on hand, about the event. Tom, an experienced event organizer and promoter, was not concerned about the light attendance. He saw this first night as a rehearsal for the rest of the weekend. I saw the rehearsal as a success. With the good weather expected for the rest of the weekend, I suspect that it will get crowded. Obviously word of this event has been getting out. Attendees that I spoke to, some of whom drove up to an hour to get here, heard plenty of advertisement on local radio stations. When asked about his choice of Sunbeau Valley Farm as the venue, Tom said that he took the suggestion from WNIR's Bob Klaus. For those not familiar with the farm, this is a beautiful grounds that has been the long time home to the annual Ravenna Balloon Affair. 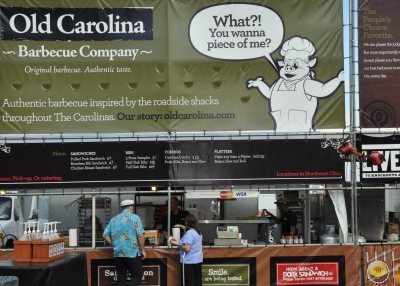 This being a non-competition event for the BBQ teams, I had time to speak to and ask the questions each team has heard a gazillion times before about what makes their ribs special and about which sauce is featured. In return, I received the expected, general answers about their smoking process, the types of wood they choose for the smoke and a description of the flavors of their sauces, particularly their award winners. And I can't blame them for not divulging more. If they told of their secrets, they'd seldom smoke another rib because everybody would do it themselves. What came through when I spoke to each team was deep pride in their process, their sauces and their final results. And that pride is reflected in the quality of each bite of each rib. While my ears were being flooded with terrific, original blues music by Xtra Crispy, (guitarist John Gmerek, bassist Jerry Principe and drummer Tony Rockich) I ate so many ribs and tasted so many sauces that I thought my belly would bust. Folks, I promise you that there is not a bad bone to be had here as evidenced by the recognized accomplishments of each of these BBQ teams and my taste buds. If you don't like ribs or smoked food, don't worry. There are food vendors on site. 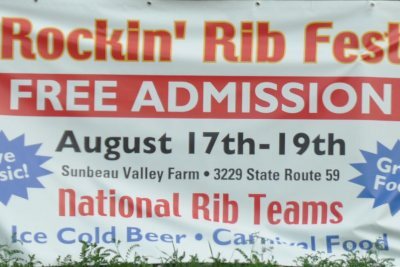 If you're looking for great ribs and an inexpensive, fun and tasty weekend event, head to Ravenna for the Rockin' Rib Fest and EAT UP ! 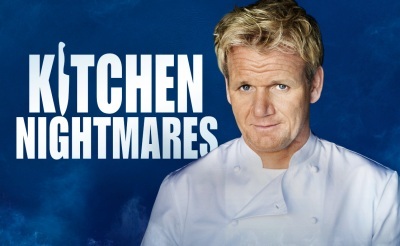 FOX's hit show Kitchen Nightmares staring Chef Gordon Ramsay is coming to Cleveland. Casting calls are currently being held for a restaurant to take part in the taping of the show. To be eligible, a restaurant must have been open for one year, offer dinner service, not be a franchise chain, and have at least 35 seats. If you are a restaurant owner, download the application and email it to KitchenNightmares@theconlincompany.com or fill out the application online at www.theconlincompany.com. If you would like to nominate a restaurant, you can call (310) 313-9100 or email KitchenNightmares@theconlincompany.com. 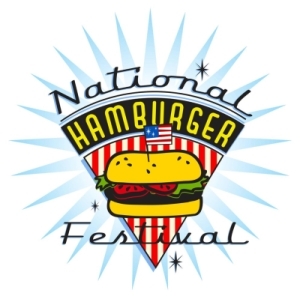 The National Hamburger Festival is being held at Lock 3 in downtown Akron on August 20th and 21st of 2011. The organizers of the event were kind enough to send me some free tickets, and I have some extras. I'll send a set of two tickets to the first two people to contact me. This is not a contest or sweepstakes- I would just like to get the extras to someone who might use them. I just ask that you only take one set, and email me no later than the 17th in order to give me time to get them in the mail to you.